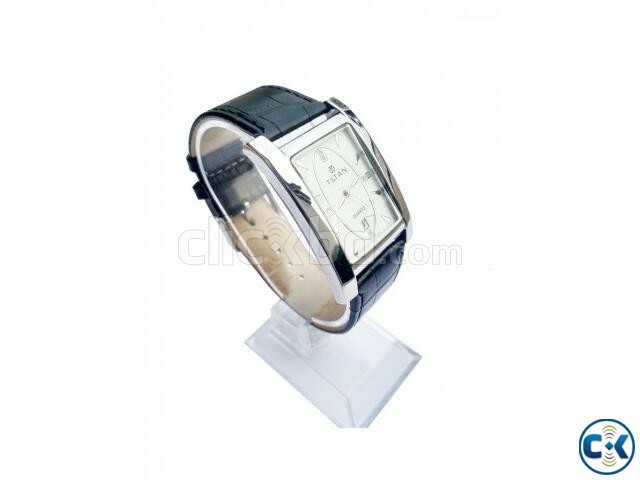 Titan Replica Watches Wrist Quartz for Men is a good wrist watch to wear for fashionable men. features of titan replica Watch: Black genuine leather belt with Silver Bazel, Working date, 3 hands, diamond like stone on dial, adjustable loops for everyone. Grab it Now.